Do you use contact lenses? Work in front of computer all day? Mostly spends time in an air conditioning room? Or.... You're like me? A contact lens wearer who works in front of a computer all day inside an air conditioned room? Talk about a trifecta for a dry eyes problems right? Dry eyes not only makes me feel tired and uncomfortable it'll affect my mood too!! Technology is such a huge part of our lives and our reliance on it is increasing at lightning speed, but our eyes aren't built for staring at screens, wearing contact lenses or coping with air con. Whilst most of us moisturize our skin every day, we forget that our eyes are also exposed to the environment including air conditioning and can become dehydrated. A good way to ease dry eyes is by taking a break for at least 20 seconds every 20 minutes and give yourself a few good blinks. The reason we blink is to keep the eyes moist as the blinks help to lubricate and refresh our eyes. But digital technology, especially spending long hours at a computer screen, can also take its toll on our eyes as our blink rate reduces and as a result our eyes are less lubricated. 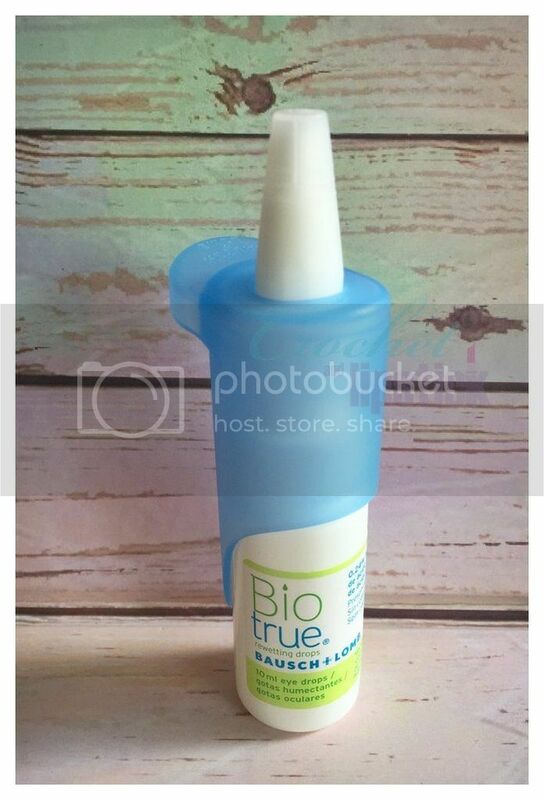 I usually use contact lens solution that I put inside a dropper to re-wet my contact lenses each time it feels dry but a few weeks ago I got an e-mail offer to review Biotrue Rewetting Drops. 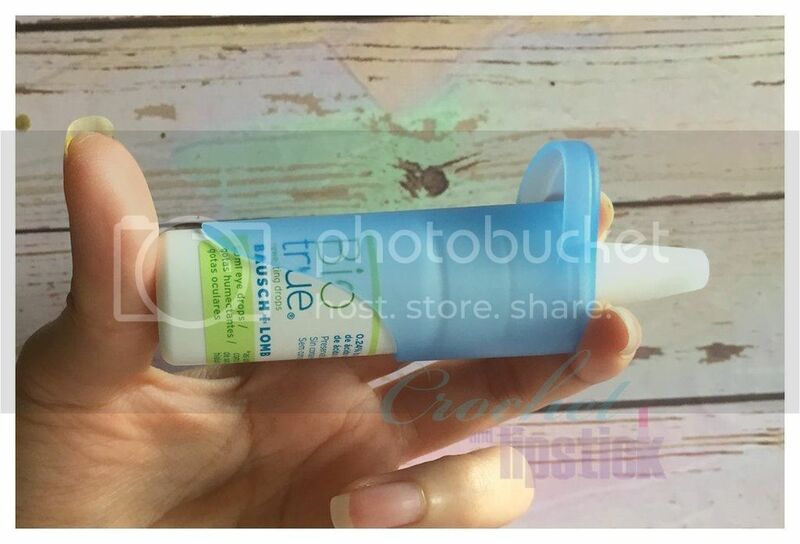 Since I usually use Biotrue for my contact lens solution I said yes to it in flash. Biotrue Rewetting Drops have been especially designed to help keep our eyes hydrated throughout the day, providing daily relief from strained, tired and dry eyes. Plus, it can also be used by contact lens wearer like me! Inspired by the biology of our eyes it contains hyaluronic acid (as sodium hyaluronate) which is found within the natural structures of a healthy human eye and its tear film. The Biotrue Rewetting Drops deliver instant and natural hydration because of its specific preservative free formulation based on hyaluronic acid. 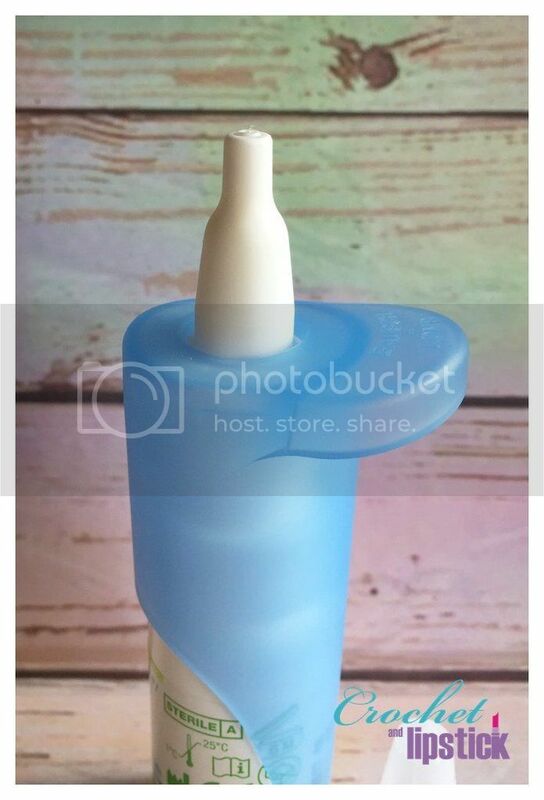 It comes in a handy single-dose packs and 10ml dispenser which can be used for six months once opened. 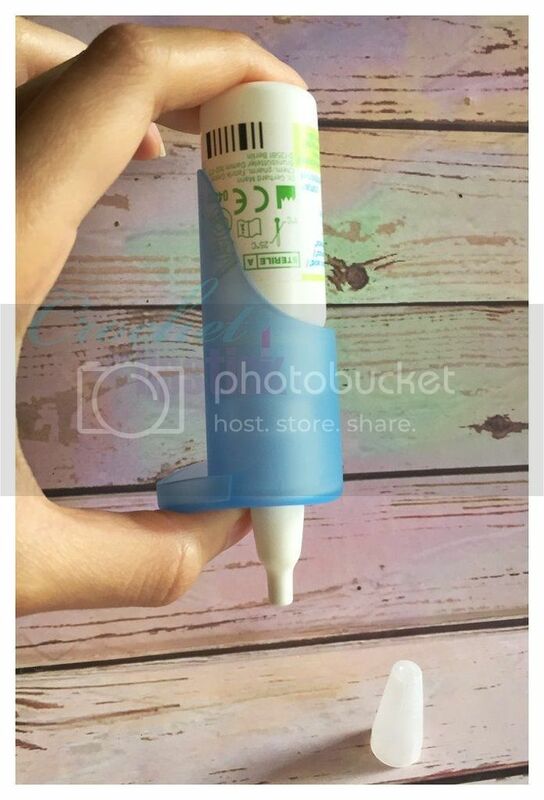 I got mine in a 10ml dispenser and what's unique about it, is that it has an innovative control grip system that simplifies handling and gives a peace a mind during use. Peace of mind? Yes.. You now that dreaded feeling when you use an eye dropper? Do I squeeze to much or not enough... it is quite an uncomfortable feeling for me. Well not with the Biotrue!! The unique grip makes it easier to push a single drop each use. I absolutely love it! I keep it around in my makeup bag and it's been very helpful because nowadays I spend most of my work time in front of computer with a full blast air con. I usually use a drop before begin working and use it again a few times during the day whenever I feel necessary.